For some reason, I have more Great Spangled Frittilary butterflies this year than I've ever had before. Perhaps it's because I left some of their host plants, native violets, undisturbed this year. I don't know where all of these Fritillaries are laying their eggs (I still haven't seen a larva), but they're obviously pleased with my garden! 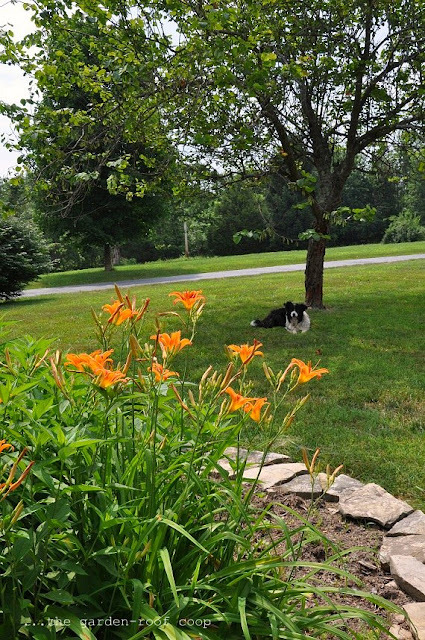 Count how many you see in the photos below..
Daylilies...and Buddy the Border Collie! 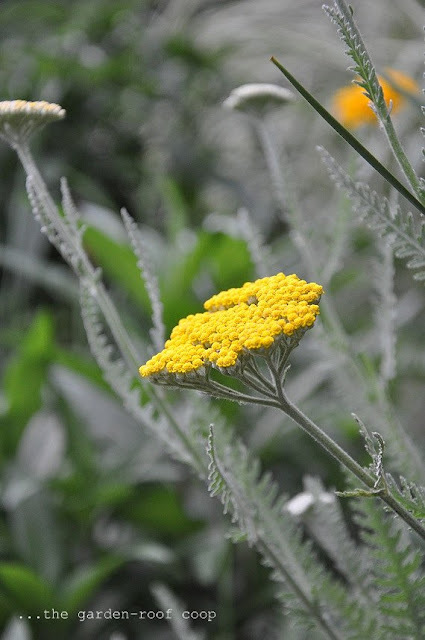 To see more photos of June blooms, visit May Dreams Gardens. Wow! It looks as if you've won the heart of a butterfly deity . . . or something. And it threw in a bumblebee moth for good measure. Stunning! 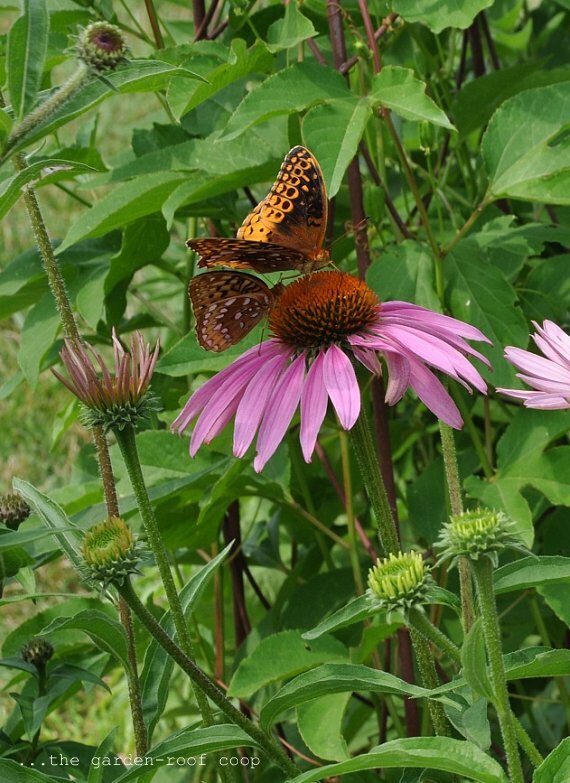 How long does it take for Echinacea plants to emerge from bulbs? Been waiting months and they just haven't appeared. Saying that, I did nearly accidentally throw them out. I opened the bag and thought it was just full of soil. 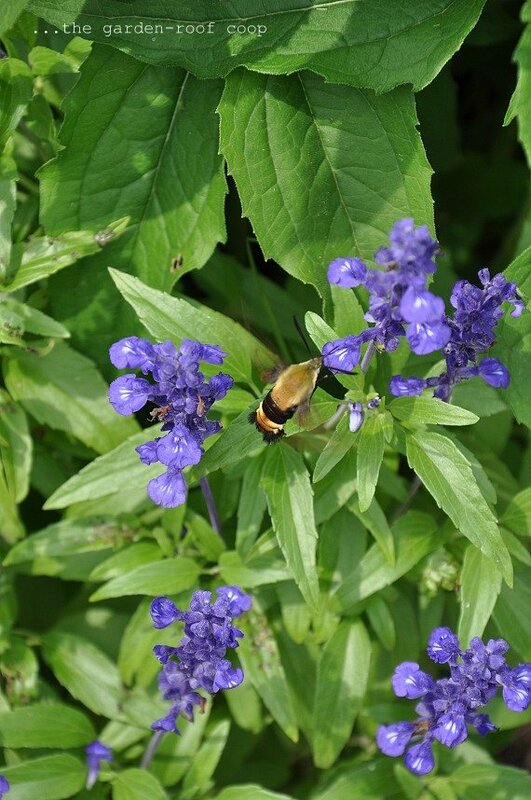 Wondered what that was - a beautiful Bumblebee Moth. 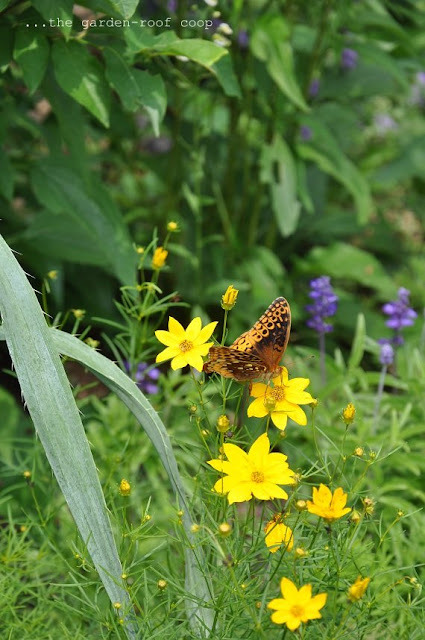 Your truly do have a butterfly garden!! 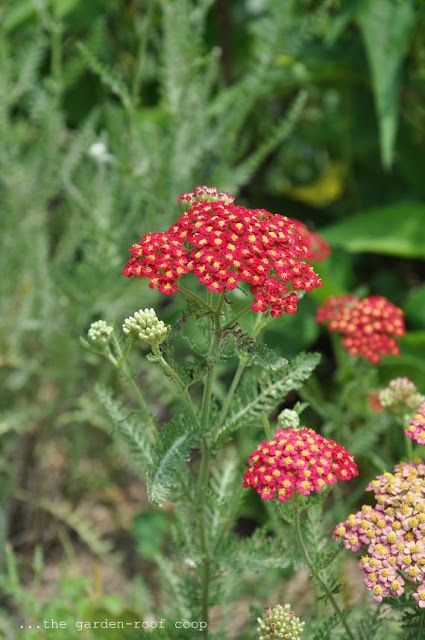 Gorgeous blooms, I'm sure they are attracting all the butterflies and the clear wing hummingbird moth. I can not believe the number of butterflies on that one plant in your opening shot! Attracting more butterflies in my garden is something I want to work on. Your garden and dog resemble mine. 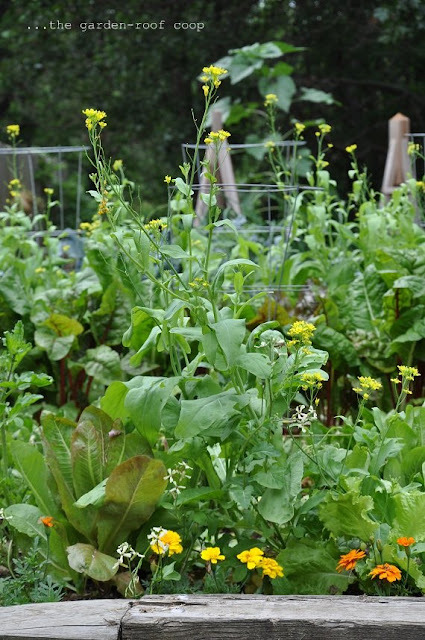 Almost to a T.
Your lettuce blossoms are great! I say leave them :) And I need to get my garden some echinacea because I want some pretty butterfly visitors like you have. OMG...that first photo with the swarm of butterflies is AMAZING!!!! 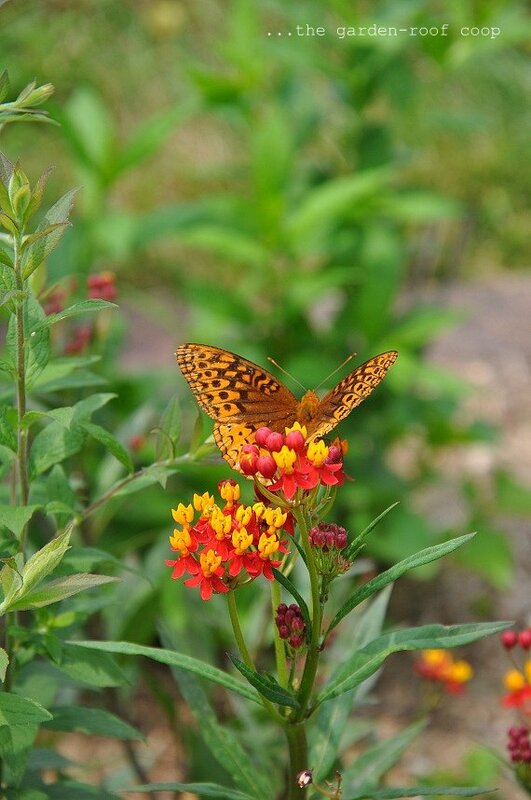 Love the flowers of course but the photos of the butterflies are really special, thanks for sharing that. and thanks for inviting me into your garden. What a beautiful blog you have. Thank you so much for sharing a link to my site. I really appreciate your kindness. 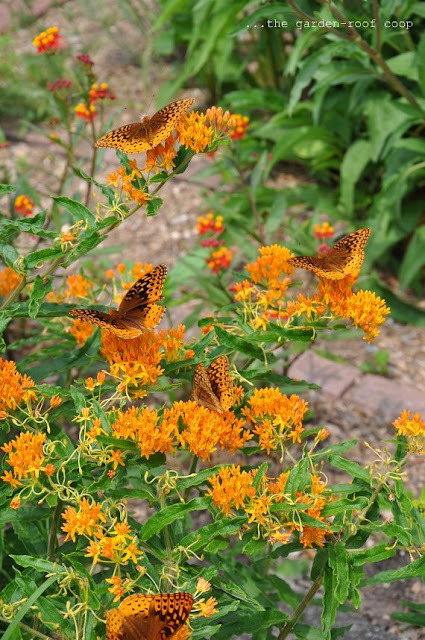 The picture of all of those Fritillaries on the Butterfly Weed is amazing! hello butterfly lady and an icu nurse I see too....My hat is off to you, as 3 tie throat cancer survivor and Laryngectomee, I been through ICU a time or 3 myself. I wanted to thank you for visiting my blog for GBBD, I don't have a way to automatically let you know of a followup comment from me so this is it, hope its alright. Thanks for visiting and I hope you'll return for GBBD or to read some of my little stories. In any case thanks for visiting butterfly lady. That first photo is amazing. 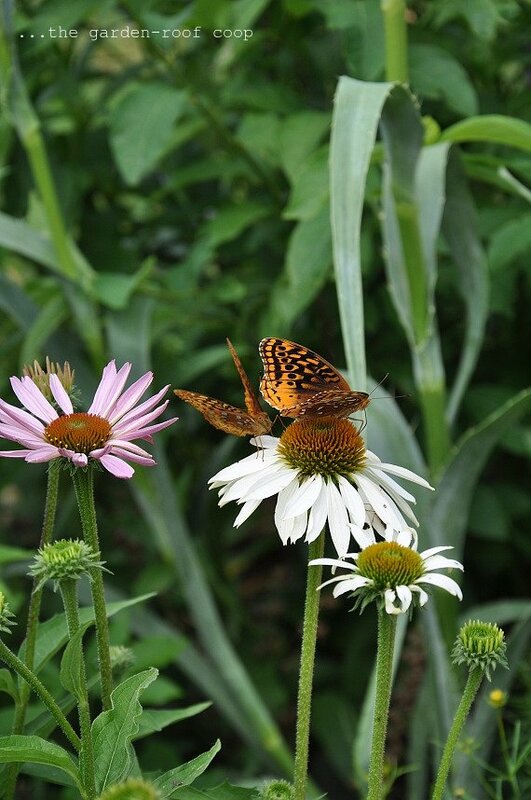 Your garden loves butterflies and vice versa. Beautiful June garden.